The extent of the UK Governments mass surveillance regime against their own citizens has been exposed in a bombshell documentary which revealed that billions of pounds of taxpayers money has been spent with just one security company. The BBC documentary, entitled Weapons of Mass Surveillance detailed how the British government is using various mass surveillance methods to monitor the public both online and offline. It delves deeper into the how the security and defence industries are helping them in this task, with companies like BAE Systems selling hugely expensive surveillance technology to governments around the world. The show highlights the role that British surveillance technology appears to have played in allowing authoritarian regimes in the Middle East and North Africa to suppress the Arab Spring. But it also reveals the hugely lucrative market that companies like BAE Systems have cultivated here in the UK too. This is an enormous figure and represents the amount spent with just one supplier. There are no shortage of other companies operating in the same sphere as BAE Systems which also have contracts with the British Government. The total amount of taxpayers money that is being spent by the Government to surveil their own people could easily amount to tens of billions of pounds every year. As the Daily Express has revealed, this is clear evidence of the UK Government prioritizing security over privacy. But it seems that British officials think that is what the public wants. Jonathan Shaw, a former head of cyber security at the Ministry of Defence commented that the more terrorist attacks that take place, the more public opinion shifts in favour of increased surveillance. There is no independent data that supports his claims and indeed recent polls have shown that the British public are more concerned about personal privacy at the moment than ever before. This is certainly true in the case of online surveillance with a huge public outcry last year as the Government rushed their flawed Investigatory Powers Act onto the statute books with a minimum amount of scrutiny. This required British ISPs to retain the internet data of all their customers for a period of one year. It also theoretically gave the government the power to break encryption if it so wished, although it is yet to try and exercise these powers. But innocent British people were understandably outraged at the government handing itself the power to spy on what they are doing online. VPN use shot up in the immediate aftermath of the bill being passed. If Brexit hadn’t been dominating the headlines as the government snuck the bill through Parliament, it would probably have gone up even more. By using a VPN such as ExpressVPN, British internet users can hide their internet data from both government spies and their own ISP. A VPN encrypts all of your online activity meaning that no-one on the outside can access your data. Your ISP can still see what you are connecting to, but a VPN has a trick to stop them too. By redirecting all of your data through an external server, it stops ISPs from being able to log what you are doing online. They can see you connecting to the VPN server, but they cannot see where your data is going after that. With the contents being encrypted too, using a VPN means your online privacy is assured. 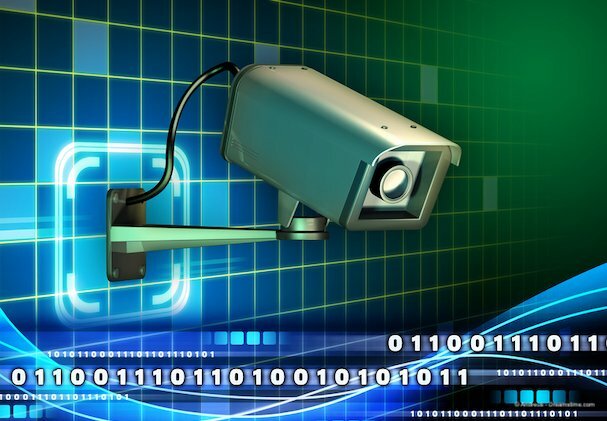 A VPN might not be able to keep you safe from swarms of CCTV cameras and on-street facial recognition technology. But no matter how much the British government spends trying to surveil its own people, by using a VPN, you can always be sure of retaining your online privacy.